The overall objective is to use both theory and observations to search for evidence of past and present life elsewhere in the universe. Rocky planets like Earth are the primary focus, given what we know about how life evolved here. 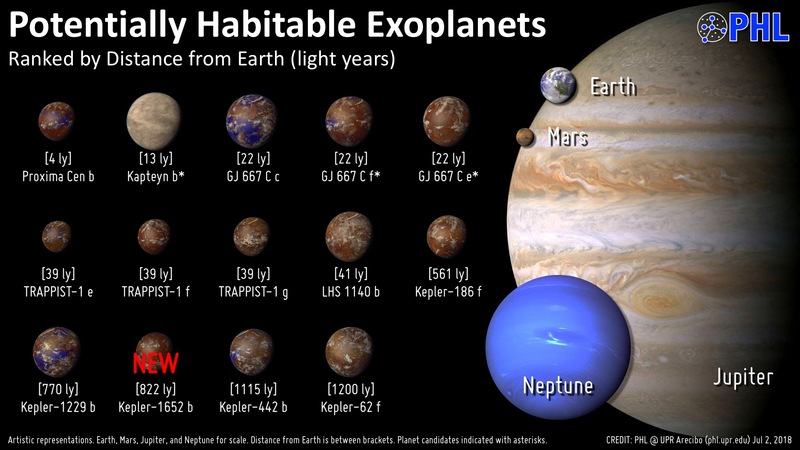 A growing number of such worlds have been discovered by various missions and telescopes such as the Kepler Space Telescope, including ones in their stars’ habitable zones, although most are quite distant. The new TESS mission, which just launched a few months ago, is currently looking for similar planets closer to our own solar system. A key aspect of that objective is to directly image these planets, which will require funding and long-term monitoring to see results. 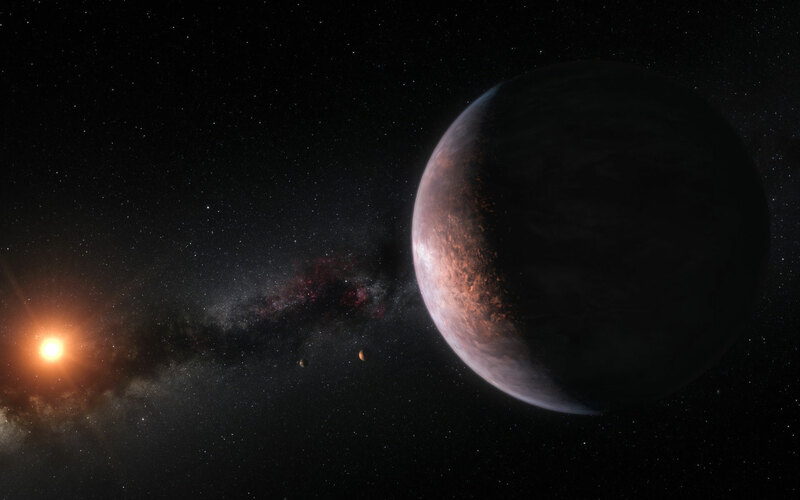 The report recommends using instruments that can directly image an exoplanet by blocking the light emitted by the parent stars – such as with a coronagraph or starshade. In addition to the new direct imaging capabilities, the report also notes that other ground-based observations will be essential. This would include the future Giant Magellan Telescope and the proposed Thirty Meter Telescope. These telescopes could not only provide advanced imaging and spectroscopic abilities of entire planetary systems, they could also detect molecular oxygen – a potential biomarker – in the atmospheres of rocky planets. The report further recommends that the National Science Foundation should invest in both telescopes to provide all-sky access. The Kepler Space Telescope, now nearing its end of its mission, looked at stars relatively close by, while TESS will focus on stars even closer, in our sun’s immediate neighborhood. Another space telescope, however, the Wide Field Infrared Survey Telescope (WFIRST), would look at stars much further out, for which we still have little information as to planets, and enable a large direct imaging mission. WFIRST received the Academies’ highest priority in the 2010 Astronomy and Astrophysics Decadal Survey. In addition, the report recommends that the James Webb Space Telescope should be used to systematically collect data on exoplanet atmospheres early in its mission. 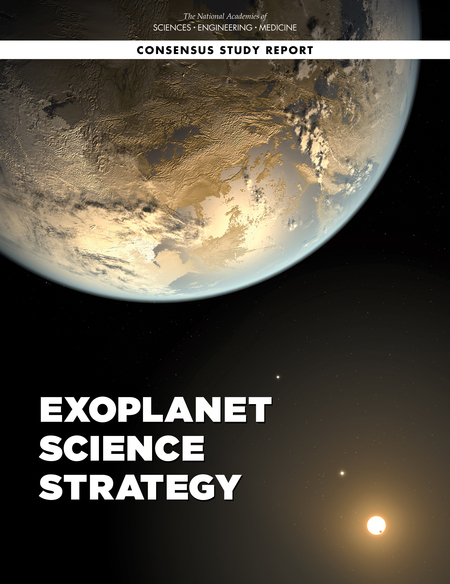 The model of NASA’s interdisciplinary collaboration initiative – the Nexus for Exoplanet System Science – should also be expanded by supporting a cross-divisional research effort inviting proposals for interdisciplinary research. The report also calls on NASA to support a robust individual investigator program – including grants for theoretical, laboratory, and ground-based telescopic investigations to fully realize the scientific payoff of exoplanet missions. Bottom line: The discovery of a growing number of Earth-sized exoplanets, some potentially habitable, is one of the most exciting developments in space science. The new report from NASEM urges NASA to make more detailed observations of these worlds a priority, which is great news. Such near-future studies may well lead to one of the most important discoveries in history – another inhabited world. Two ground based attempts should happen in less than a year! FIRST: A PLANNED attempt to image habitable planets around Alpha Centauri A and Alpha Centauri B with SPHERE/VISIR at VLT. SECOND: a NOT YET planned attempt to direct image Proxima b with already existing(ArXiv: 1808.06819. “A simple optimizes pupil mask for attempting to direct image of Proxima b with SPHERE/ZIMPOL at VLT.” by Polychronis Papatis, Jonas Kuhn, Hans Martin Schmid)equipment..